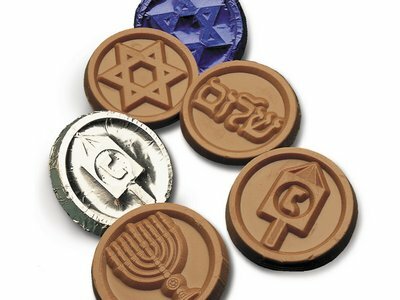 Happy Hanukkah Coins are made from Milk Chocolate. 6 different designs. Wrapped in silver and blue foil. Each coin measures 1.5".